Voltage stability is a major concern in the planning and operation of electric power systems. This is the first book to provide a clear, in-depth explanation of voltage stability, covering both transient and longer-term phenomena and presenting proven solution to instability problems. 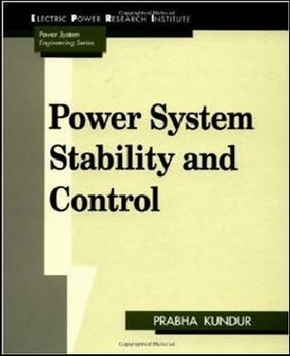 An essential tool for all electric power and utility engineers, the book describes equipment characteristics for transmission, generation, and distribution/load subsystems of a power system, together with methods for the modeling of equipment. Readers will find static and dynamiccomputer simulation examples for both small equivalent power systems and for a very large power system, plus an account of voltage stability associated with HVDC links. They will also get helpful planning and operating guidelines, computer methods for power flow and dynamic simulation, and descriptions of actual voltage instability incidents. Part I: Characteristics of Modern Power Systems.Introduction to the Power System Stability Problem.Part II: Synchronous Machine Theory and Modelling.Synchronous Machine Parameters.Synchronous Machine Representation in Stability Studies.AC Transmission.Power System Loads.Excitation in Stability Studies.Prime Mover and Energy Supply Systems.High-Voltage Direct-Current Transmission.Control of Active Power and Reactive Power.Part III: Small Signal Stability.Transient Stability.Voltage Stability.Subsynchronous Machine Representation in Stability Studies.AC Transmission.Power System Loads.Excitation in Stability Studies.Prime Mover and Energy Supply Systems, High-Voltage Direct-Current Transmission.Control of Active Power and Reactive Power.Part III: Small Signal Stability.Transient Stability.Voltage Stability.Subsynchronous Oscillations.Mid-Term and Long-Term Stability.Methods of Improving System Stability.